The Sounds Of Asbury Park! This new two-CD set collects what the Asbury Park Press describes as "40 years' worth of Jersey Shore sounds, everything from a cappella gems to stirring soul singles to horn-soaked rhythm and blues." Major highlight: eight never-before-heard recordings with E Street Band members Garry Tallent, Clarence Clemons, Max Weinberg, the late Danny Federici, and Roy Bittan, from a 1980 session. Set curator and one of the Creators of S.O.A.P. Stormin' Norman Seldin sings lead (while playing piano), with the legendary Billy Ryan on guitar and harmony on one track ("I Wanna Rock 'n' Roll") by Southside Johnny. Plus: classics from Harry Ray & The Valtairs, the Jaywalkers, The Motifs, The Joyful Noyze (Clarence Clemons' first studio session), Leon Trent & The Uniques, Nicky Addeo & the Night Owls, Barbaroso & The Historians (whose a cappellas are nationally known as the world's finest from 1963), along with Tony Maples and Stormin' Norman on some classic piano solos. One of the recordings of the Uniques featuring Nicky Addeo currently sells for over $600 currently -- if you can find it. 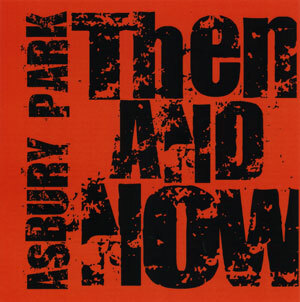 Produced by Seldin, who describes the set as "my life in musical form," a whole lot of historic Sounds Of Asbury Park in one great package. Digitally remastered, some from rare vinyl. 46 tracks in all, on the Ivory International label.